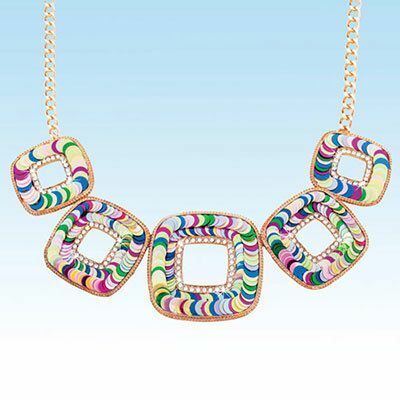 This Colorful Squares Necklace has effortless shimmer! Each gold-tone square features rows of brightly colored sequins, accented by an inner row of glistening, clear rhinestones. Link chain. 17"l with 3" extender. Hurry! Quantities are limited!